It is the perfect theme for your next OctoCart project. 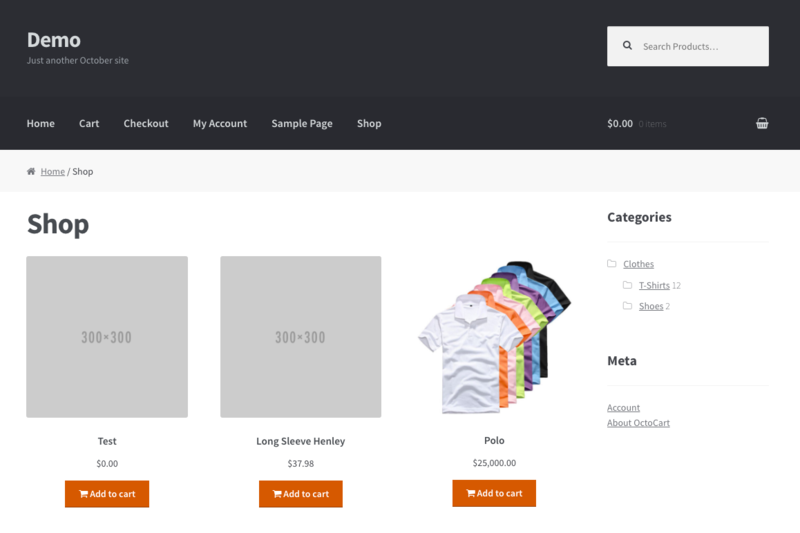 Basic Bootstrap theme for eCommerce plugin OctoCart. Why is this theme a paid theme? This plugin requires a lot of time to develop. The actual price would be used for support and future development. Additionnaly, 30% of your purchase goes to help fund the October Project! But you can download it for free from the GitHub! # 62 in Paid of all time. Added place_order field to checkout page. Added variations to product page. Updated checkout & order pages. Added missed files to repository.